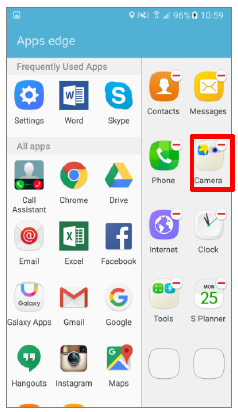 Galaxy S7 Edge: How do I create a folder on Apps Edge? 1. 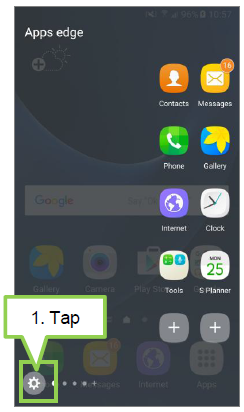 On Apps edge screen, tap Settingsto open the Edge panel settings screen. 2. Tap Edit button on the Apps edge panel to edit the panel. 3. 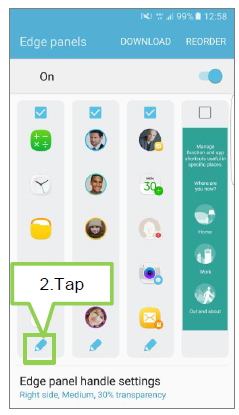 Tap and hold an app from the list, and then drag it over another app on the Apps edge panel. 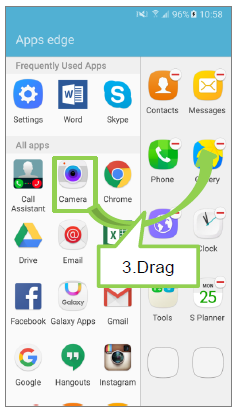 Drop the app when a folder frame appears around the apps. 4. 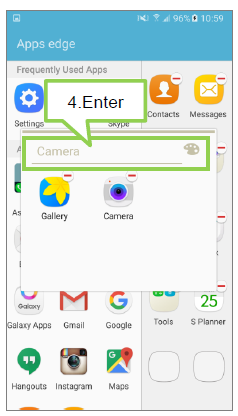 Enter a folder name and chage the folder color. 5. New Folder has been created on Apps edge. S-Pay: How can I register my card?